A wonderful way to remember that special person. Includes 10 oz. jars each of Blister Fried and Honey Roasted Peanuts plus a 9 oz. jar of Cashews. Have heard nothing but good things from all our customers that received Bertie Co. Peanuts from our business. 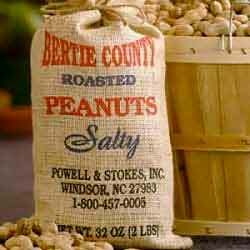 Always loved Bertie County Peanuts, wanted to send a gift for Christmas to our Uncle in Ohio. They went out of their way to make sure the delivery was made. Called, and e-mailed us to clarify the delivery date. That was most unusual for a mail order operation. Thanks! I have been sending my daughter in law's parents in TX a combination pack each Christmas , and they absolutely love the variety and quality. And, it's easy for me to order from the website. whole peanuts get fewer and smaller every year. they used to be blister fried and very crunchy. No more. Owner Response:We'll be in touch regarding our 100% satisfaction guarantee. But, to address your comments: The recipe has not changed. However, the type of peanut probably has. 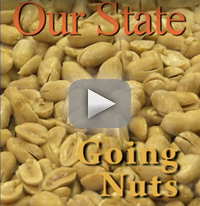 Over the years our farmers have switched to newer varieties of peanuts. In the most recent past they raised such varieties as NC 6, NC 7, and Perry. Today most of our farmers are raising Baileys and Suggs. The change in variety can affect taste and blistering ability. Once again, Bertie's are the best! Others cannot compare. 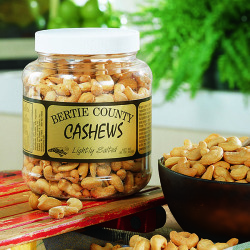 Bertie's peanuts are slightly larger and so much more flavorful. This is the first time I have tried the honey roasted variety, and they are delicious - not overly sweet like many others I have tried. The cashews are wonderful as well. This was a gift from my niece, and a very nice one!! Great products and friendly, reliable service. Love your peanuts! My order arrived very timely and the peanuts were delicious. Always a wide variety of flavors for different tastes. Fresh and delicious !